Now that I look at my stock, this is a pretty sad list! There are so many other spices and herbs I need to try! Hmm, next time I place a Vitacost order it is going to be full of spices you can guarantee 😉 But the only problem stopping game is that there is so more room in my tiny cabinet! It is really sad, but I can not fit any more! 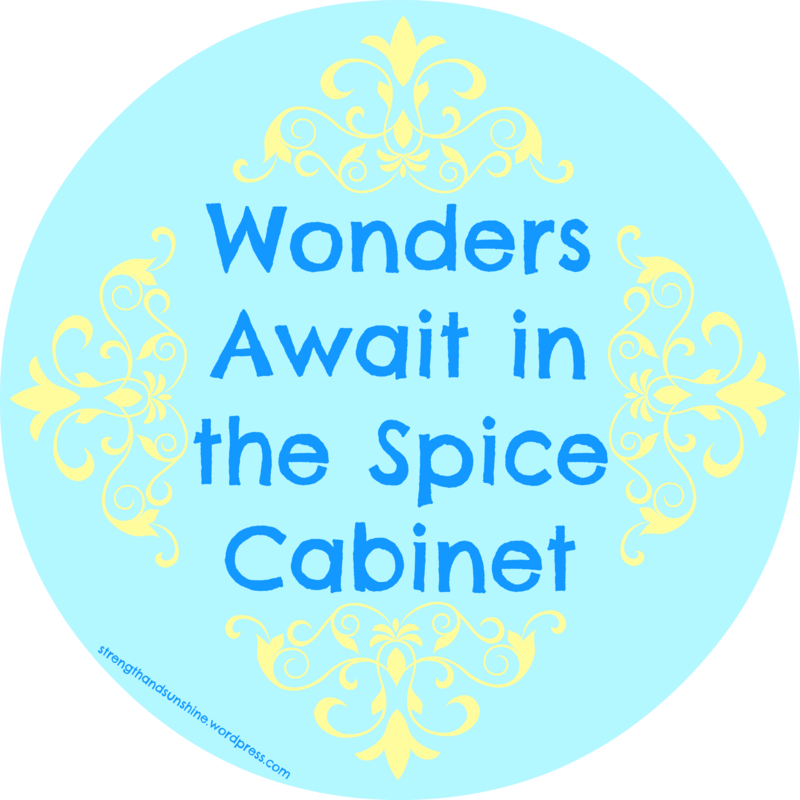 I wish I had one of those really fancy spice racks or one that you can hang on a door. I would need one that was the actual length of the door, but hey, whatever works right? Well I hope you found this interesting! Live it up and never have a meal without some spices or herbs! What is your favorite spice/herb? Um, I think we all know it is 1. cinnamon, 2. smoked paprika, 3. turmeric! How long do you keep your spices and herbs? Some I use so frequently I don’t have to worry, but other things like say cardamom, I will just use until the best buy date on the bottle (maybe even longer…). What a wonderfully well-stock spice pantry you have! Having so many spices on hand makes creative cooking so much easier. Your collection is inspiring me to add lots more spices to my kitchen cupboard. My favorite spice is turmeric, but I also love to add seaweed blends, nutritional yeast and dulse. I love Turmeric and Nooch, but I don’t consider it a spice! I have to admit that I do cook the same way – i just put a shake or two of spices that I feel will fit enhance the flavor. Spices have some many health benefits but I always make sure I buy organic so that I’m not getting toxic additives in them. Thanks for sharing. Visiting from The Healthy Happy Green & Natural Blog Hop. Have a wonderful healthy day! Exactly, that is the best way to cook! You do have to be careful, especially if you are someone who buys pre-made mixes that are not organic. They tend to add preservatives and unnecessary chemicals to those! My favorite spices would have to be paprika, basil, oregano, crushed chilli & cumin. Oh, and I love adding bay leaf and fennel to my soup 😀 And I’m pretty sure I’m missing something haha! I love spices! You a truly a friend of mine! That’s a spice I need to restock…chili flakes! And I love using bay leaves yo break down the hard to digest starches when making dried beans and legumes! Oh, I keep spices until they run out!!! You had a couple on the list that I need to check out!! That really is what usually ends up happening unless I really notice the potency of the taste lacking. Well, you certainly have quite the collection of spices! I have quite a few, but definitely not that many. It’s good to have a selection though. Spices definitely make the difference in cooking/baking. My favorites are garlic powder, cinnamon and oregano.